Call for Appointment. Not at dealership. 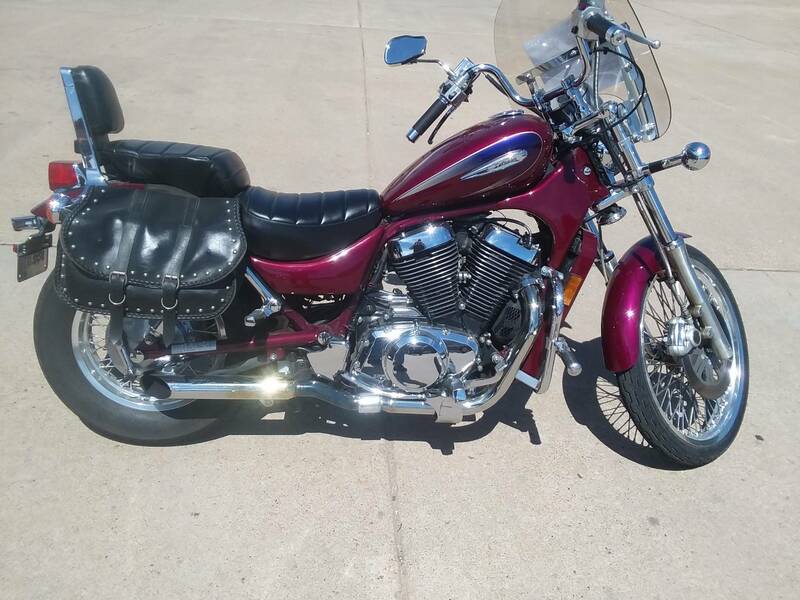 This Intruder 800 is so clean, you could almost just sit back and admire it. Almost. But one ride and you discover that -- as stunning as the Intruder 800 looks -- it performs even better. Grab a fistful of throttle as you accelerate up a freeway onramp. In a couple of heartbeats you're flowing with traffic. Credit for its strong acceleration and low-end responsiveness goes to its liquid-cooled powerplant. It features a single overhead camshaft operating four valves per cylinder and Suzuki's exclusive Twin Swirl Combustion Chamber (TSCC®) design.